Noel Gallagher has been nominated for 'Best British Male' at this year's BRIT Awards for his 'Noel Gallagher's High Flying Birds' release. 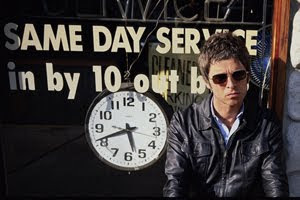 Noel has previously won six BRITs with Oasis including the awards for 'Outstanding Contribution To Music' in 2007 and 'BRIT Album Of 30 Years' in 2010 for '(What's The Story) Morning Glory'. This year's BRITs will be hosted by James Corden at The O2 on Tuesday 21st February. The ceremony will be broadcast on ITV1 in the UK.